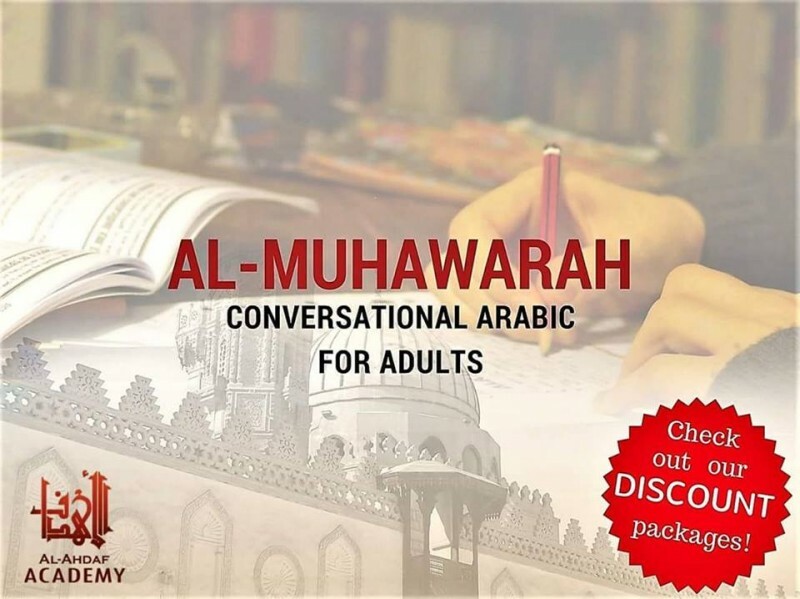 Our Muhawarah Course helps students to speak Arabic confidently, as well as to understand Arabic text. The course is specially designed in Singapore context, therefore making it applicable and enjoyable. Learning Arabic is fun, but it is more enjoyable when discounts are available. 1.Receive $50.00 discount if you are a full-time student. 2.Receive $30.00 discount each if you register with a spouse/child/sibling. 3.Receive $25.00 discount each if you register with a friend. 4.Receive $20.00 discount if you register before 3rd July. *e-receipts to be given if needed for company claim.